#GeekWeek on YouTube continues with a recipe that tastes bigger than it looks! This Fish Fingers and TARDIS Sauce Recipe pays homage to the long-running BBC classic, Doctor Who. And I know, Doctor Who super-fans, the 11th doctor ate Fish Fingers and Custard at young Amelia Pond’s house… but, well WATCH THE VIDEO for my explanation. NOTES: For the beer batter, I used aleppo pepper (for the chili powder), Stone IPA for the beer and Alaskan Cod for the fish. I don’t recommend using Tobasco for the TARDIS sauce, use a variety more like Tapatio. 1. 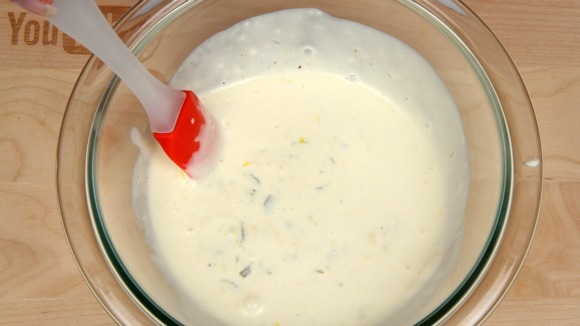 Combine mayonnaise, lemon juice, dijon mustard, sweet pickle relish, lemon zest and hot sauce. 1. In a bowl combine flour, chili powder (or aleppo pepper as I do in the video) salt and a few cracks of pepper. 3. Make a well in the center of the dry ingredients and pour in ice cold beer. 4. Whisked in the beer but don’t stir like crazy. It should be the consistency of pancake batter. 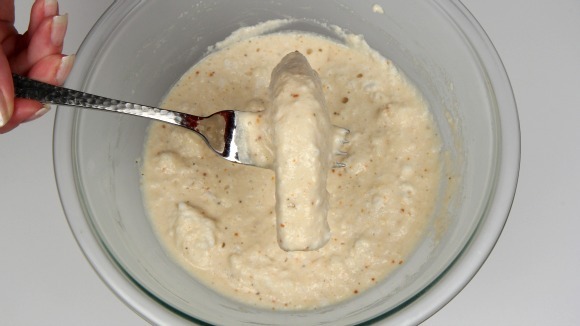 Over mixing will over stimulate the gluten and make the batter heavy. 5. 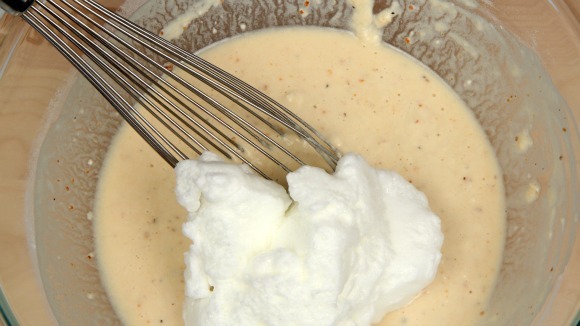 Fold in egg whites that have been whipped till stiff. Again, don’t over mix. 1. Clean and dry fish and cut into strips or fingers. 2. Dredge fish fingers in 1/2 cup reserved flour mixture. 3. 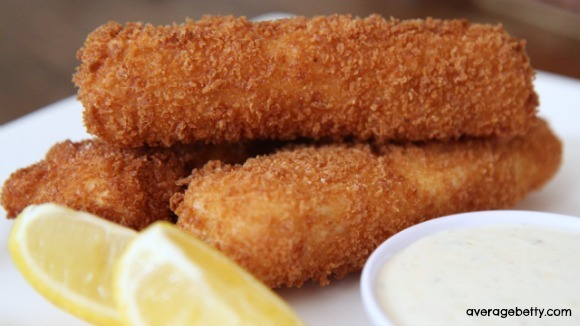 Run dredged fish fingers through beer batter and roll in panko bread crumbs. 1. Heat oil to 365(F). 2. 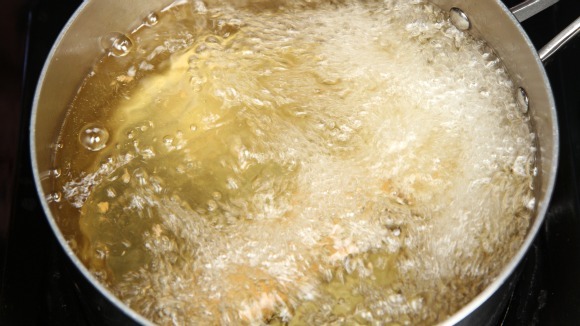 Carefully drop breaded and coated fish fingers into hot oil. 3. 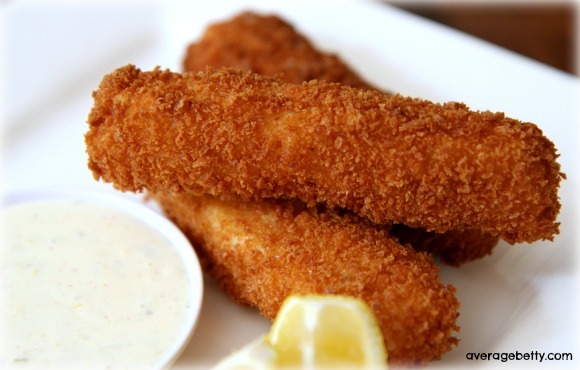 Fry fish fingers just until golden. 4. Season with coarse salt and serve immediately with TARDIS Sauce.